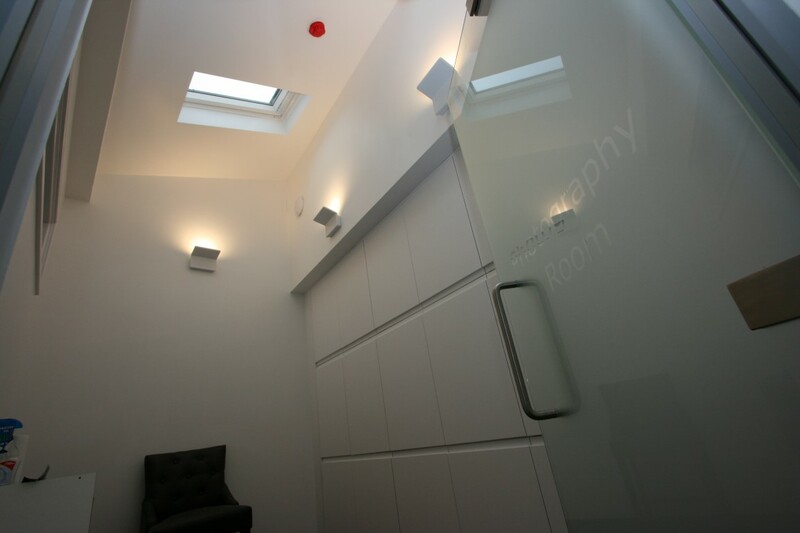 Project: convert existing outbuilding into state of the art dental clinic accommodation. On successful tender of the project, GMC set about organising the works to cause minimal disruption to the business as possible! While the actual construction works to this project we’re straight forward the logistics were not!! 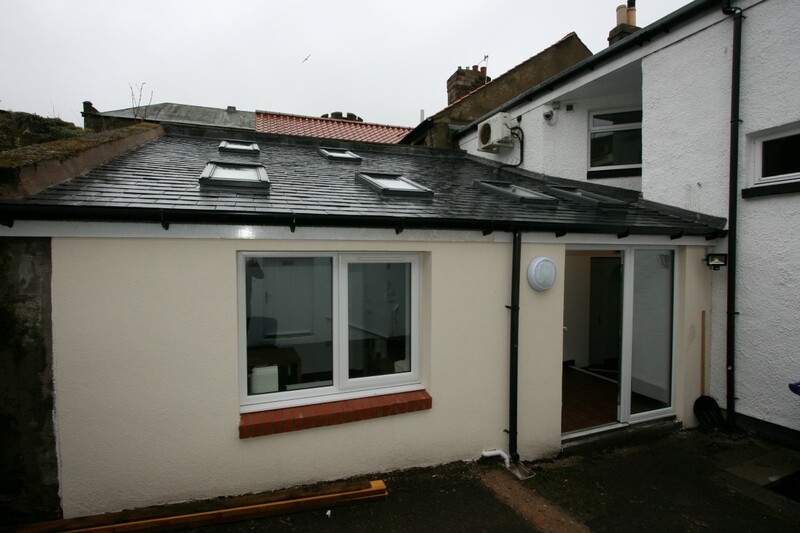 The complete re-roof, new floor & fit out of an existing out building with the only access through a operating dentist reception presented many potential problems. Access from the rear was a 90m long walk on a footpath with a very steep 50m embankment made it impossible to transport any materials on that route. Crane hire was considered to lift in & out materials over the roof. 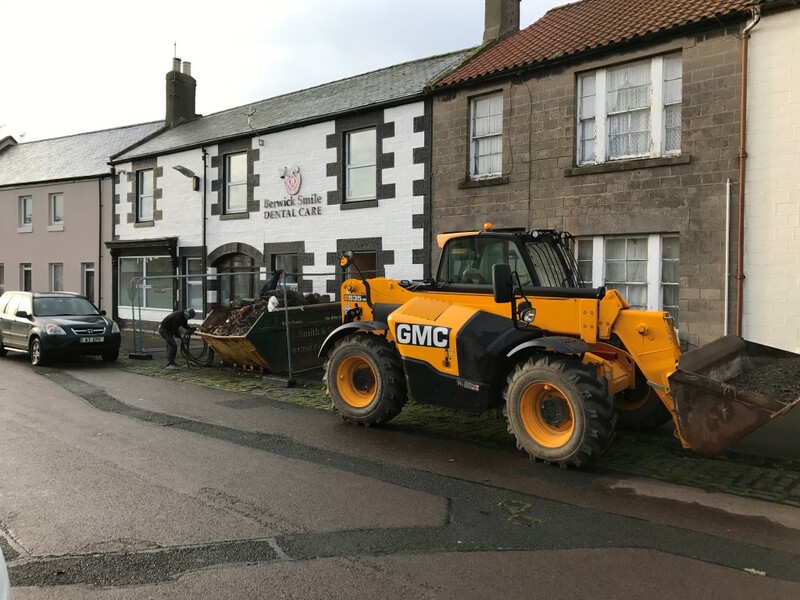 The ultimate most cost effective way was decided to partition off the end of the reception, remove an existing window and erect an access scaffold with ramps leading to the rear construction area. 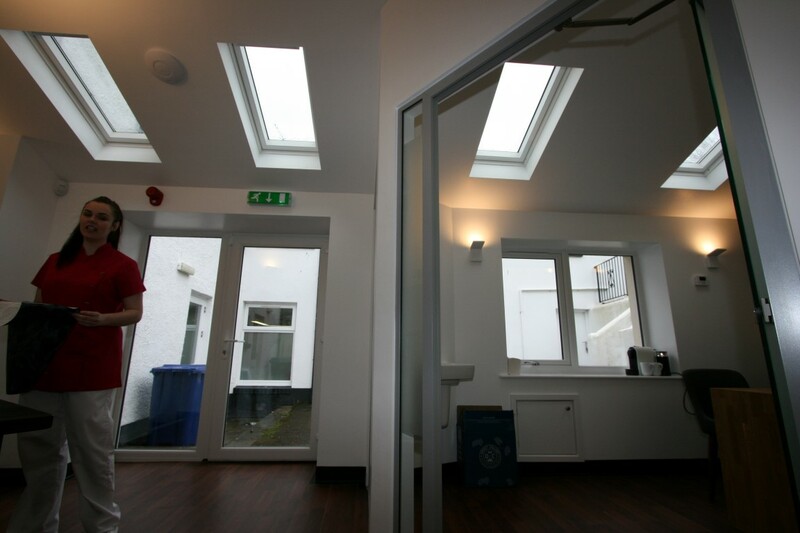 The existing building was to be altered and re-roofed with new sky light velux windows for plenty natural light. 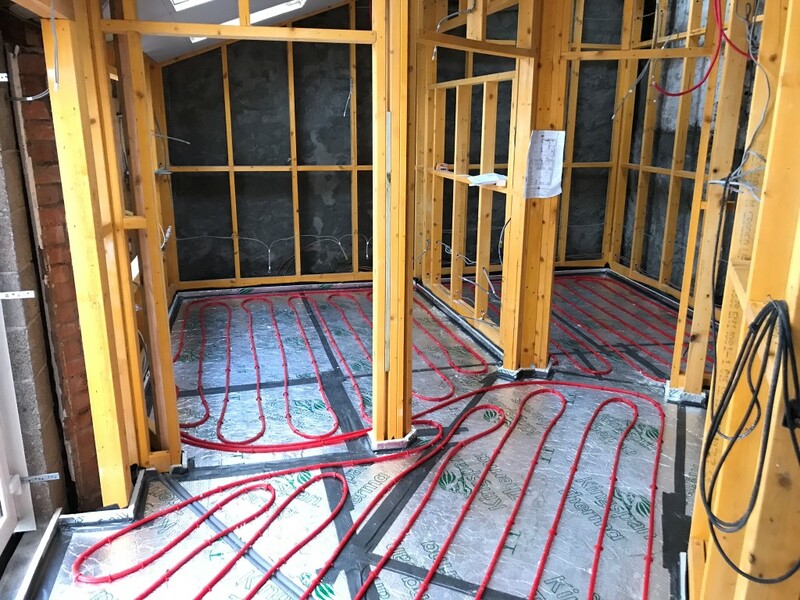 The existing floor was grubbed up, excavated to new level, insulated, under floor heating and new screed were all fitted. The new roof was insulated with PIR ridged insulation board while the existing stone walls were treated to prevent any damp penetration as part of the existing stone walls were retaining. Once treated the walls were framed and insulated. The works included careful planning for data and electrical cabling as the existing surgery is a very sleek finish with all cables out of view. 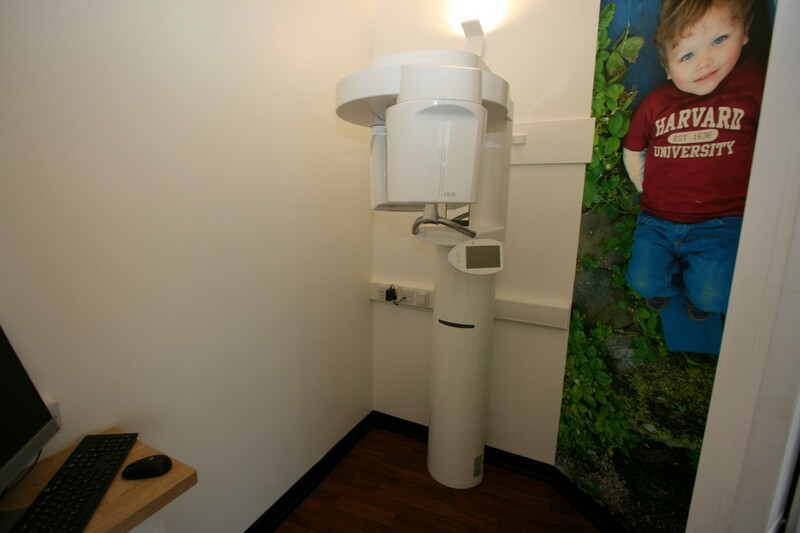 The project included a new x-ray room. This is a GMC first! The specification for radiation protection was well researched and executed complete with lead lined walls & door with Barium loaded plasterboard. 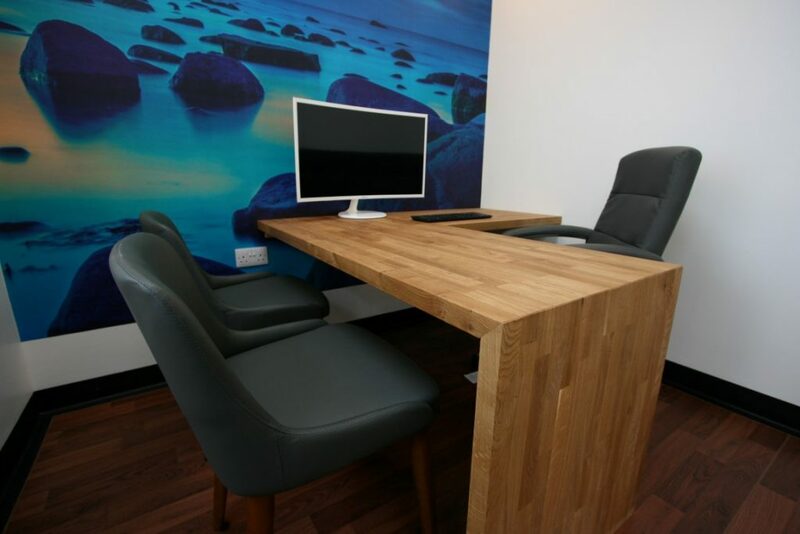 GMC orchestrated all trades electrical / plumbing / flooring contractor Supplied & fitted glass screens / as well as fitting bespoke joinery for the consultation room. 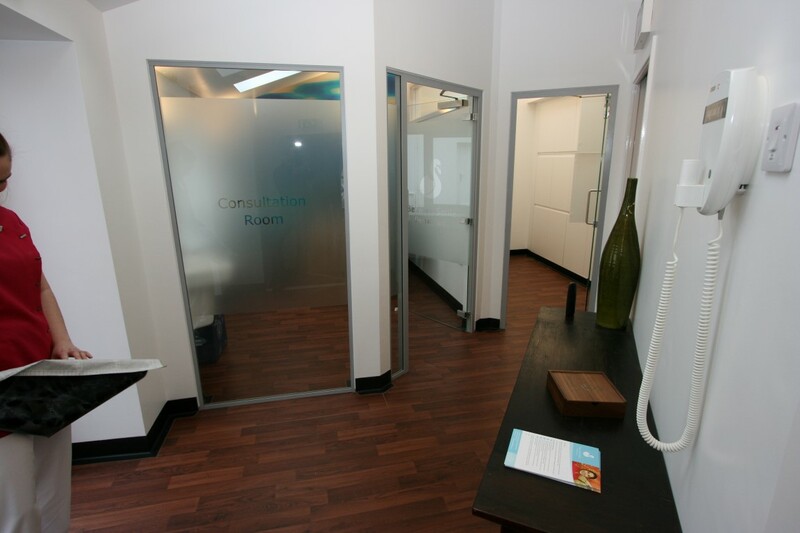 The surgery is now one of the most advanced in the area offering dental products no other can. It has been a pleasure to work on this project with Indra and her amazing team. GMC wish them all the best of luck with their expansion.